How Secondhand Is the New Firsthand? Imagine a world where Secondhand products come not only at remarkably lower costs than the firsthand products, but also with manufacturer’s assurance, extended warranties, quality standards, easy to return facilities, and even buyback offers. Well, there’s no need to imagine, because refurbishing has made it a pleasant new reality to own expensive luxury products with complete peace of mind and without putting much pressure on our pockets. What are Refurbished Secondhand Products? Refurbished products are the products which when returned to manufacturers undergo major adjustments and come out as fully updated and brand-new products. This lessens the cost for both manufacturers and buyers, and also helps in reducing the accumulation of electronic wastes. So whenever you buy a refurbished secondhand product, you contribute to save our Earth! If we look at reports published by leading retailers and e-commerce companies, we find that most of the returned products are almost new or at most a few months old. Slight faults in packaging and change of mind after buying are usually the prime reasons why firsthand users return the products. So, in these cases, when new buyers buy the same product as refurbished, they get almost new products at a better bargain. In other cases, manufacturers make some slight repairs to make old products completely new before reselling. It doesn’t matter how old the products really are and buyers don’t need to worry because manufacturers provide warranties similar to those of the new products. Should You Buy Refurbished Secondhand Smartphone and Laptops? c) the travel adapter is new. Refurbished secondhand laptops, in addition to huge discounts, have one more advantage that they can be made new-like simply by wiping the driving and reinstalling a new operating system. But laptops don’t come with as easy names and model numbers as smartphones, and this is why manufacturers list original release dates and clearly specify which generation a particular laptop is. In addition, their CPU and motherboard get replaced, their processor gets updated, and they come with extra ROM and memory. 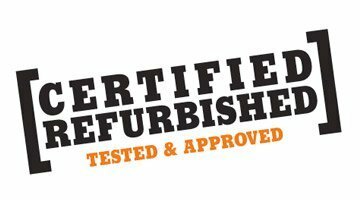 Where Should You Buy Refurbished Secondhand Items From? When it comes to refurbished secondhand products, sellers are not just shopkeepers meant to close the deal. It’s imperative to assure the buyers about the functioning of products and provide proper assistance if the products fail to do so. We, at Secondhandkart, truly understand this, and this is why every product at our store undergoes two levels of rigorous quality checking. We provide extra warranties in addition to manufacturers’ warranties, seven days hassle-free return facility and three months buyback. We are a convenient platform for buyers and sellers with fully integrated logistics and excellent customer care support. Secondhandkart vs Olx: Which is the Best for Buying Secondhand Products?